The Walbran is a riotous swath of forest and mountains, of rocks, trees, and grave wind. 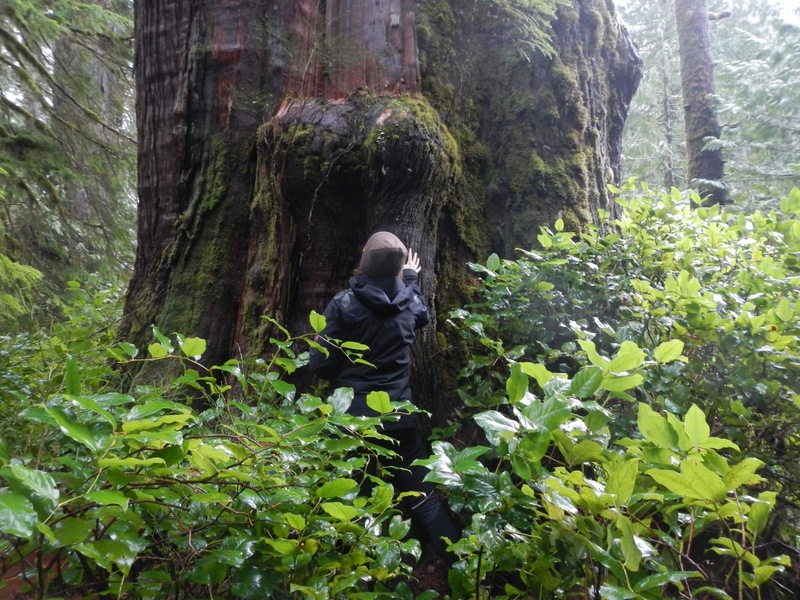 The Walbran is a constant drizzle of moisture, seeping into the soil, the rocks, the river, the mosses, your bones, and ultimately, your soul – a lavish freshness, deep with nutrients, a richness that is both vibrantly energizing and soothingly calming. The Walbran is a wild place that holds endless possibilities to experience nature with a capital N.
The Walbran is greater than I – and she tells me so in sometimes subtle and often obvious ways. My life is but a speck, a mere 32 years of existing. How old is a bed of moss…a cluster of Turkey Tail fungi…an ever gushing river…a towering cedar tree? Even the fresh young shoots of grasses and ferns owe their existence to the immense, intricate, ancient soils, rich with last centuries living matter. When did we lose this connection? Why the disconnect, as if we got here “all on our own,” apart from all the oxygen-giving and carbon-eating organisms? Where’s the gratitude…the serenity…the wonder and awe? Stand in thanksgiving my friends.